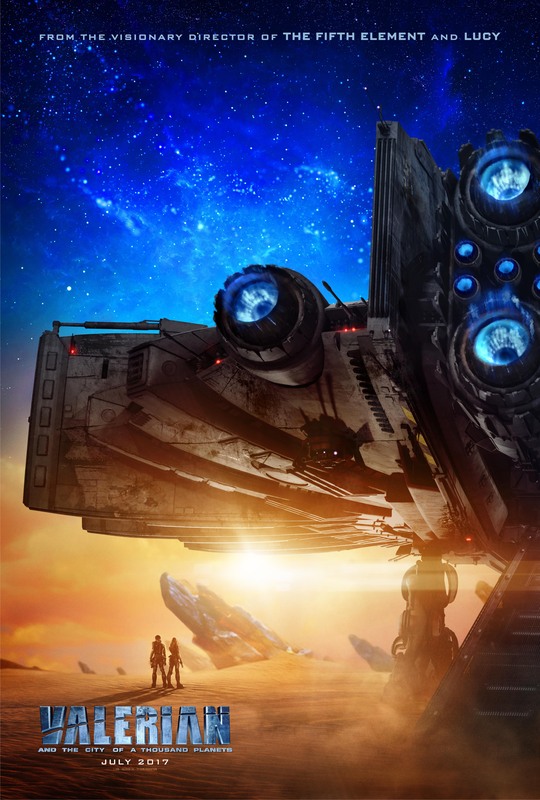 EuropaCorp has released new images and a poster for Luc Besson's hotly anticipated Valerian and the City of a Thousand Planets. The fresh look comes on the heels of the film's presence at New York Comic Con. Fans in attendance will also be able to experience an immersive booth for the film and comics on the convention floor from 10am to 7pm. Director Luc Besson and illustrator/co-creator of the original graphic novel, Jean-Claude Mézières, will also be in attendance. The epic science fiction film is based on the classic graphic novel series, Valerian and Laureline, which was a childhood inspiration for Besson. 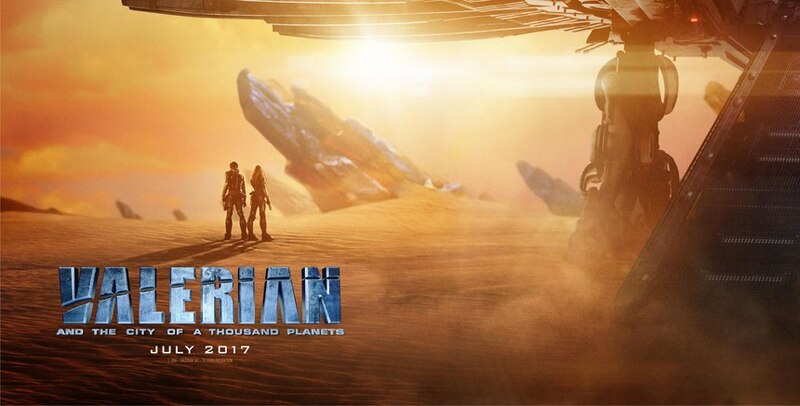 Valerian stars Dane DeHaan, Cara Delevingne, Clive Owen, Rihanna, Ethan Hawke, John Goodman, Herbie Hancock, Kris Wu. For mor images, be sure to follow the Valerian Instagram account which is very active. The film sees wide release next year, July 21, 2017. Cautiously optimistic. Can't really trust Besson. The schnipzuss look good (okay, not sure how to spell that). As an ardent fan of the graphic novels since decades (I have them all), this live action adaptation has been my dream for very long. So, for me, this is the most anticipated movie of all time!!! I am also happy that it is in the hands of another fan of the graphic novels, Luc Besson, and not a director that has no relation to the original. The poster is super, as it confirm that the time/space ship of the graphic novels will make an appearance in the movie, and that it looks fairly close to the original. BTW the three aliens in the recently released photos are called The Shinghouz in the graphic novels, and they are merchants of information, that are in love with Laureline, Valerian's female colleague and time/space agent for the Terran Empire of Galaxity.